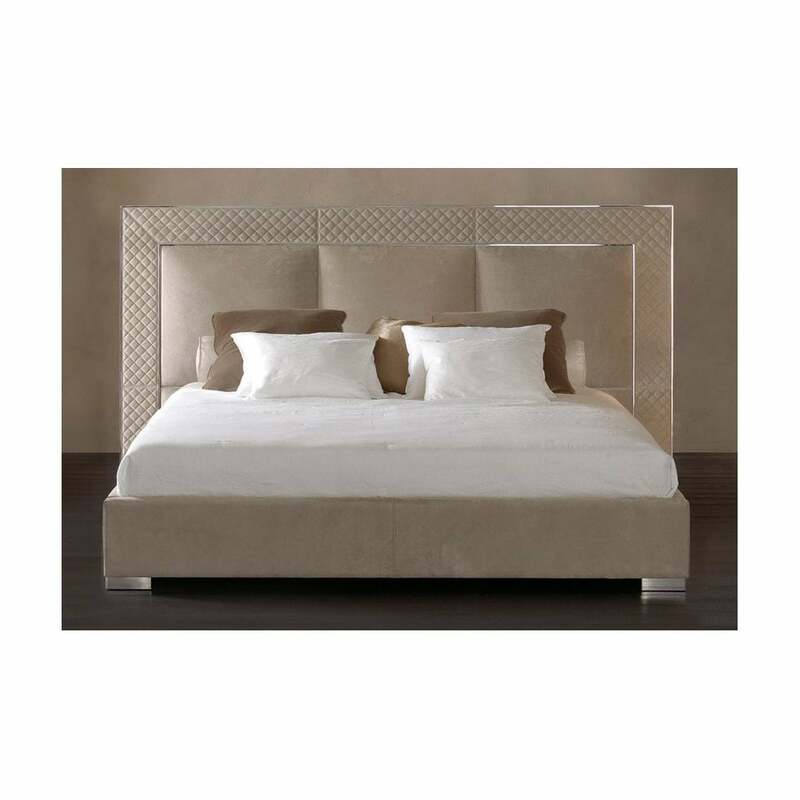 Hand-made by skilled craftsman, the Aura Bed by Rugiano Interiors epitomises Italian luxury. Designed and created in the heart of Milan, Rugiano’s signature designs are synonymous with timeless elegance. The Aura Bed features a soft, padded headboard upholstered in the finest Pelle leather. The rectangular frame is crafted with comfort in mind and decorated with steel or bronze detailing for a luxurious touch. While away the mornings in style and create a sanctuary from the outside world with the Aura Bed. The high-quality fabric and leather upholstery is available in a range of smooth or textured finishes. Combine with neutral hues of taupe, mink and blush to create a hotel-inspired look. Pair with other ‘Night’ furniture pieces from the Rugiano collection to create a calming bedroom scheme. Available in three sizes, make an enquiry for more information.